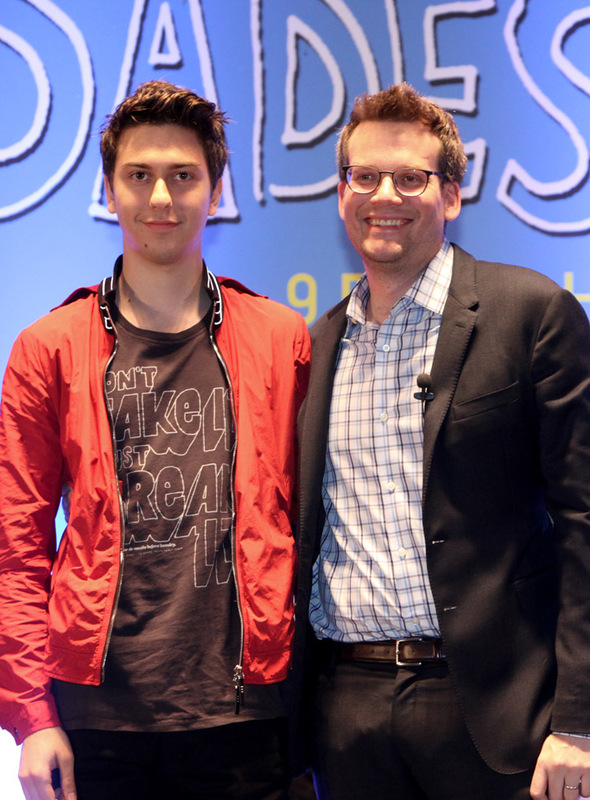 While “The Fault In Our Stars” touched the audience’s core with its theme on young love, death and moving on, the latest young adult book to be adapted on film by phenomenal author John Green which is “Paper Towns” will similarly move the audience on its themes on growing up and the valuable yet hurtful truths that comes with it. “Paper Towns” captures the essence of life and relationships for young adults with elements of humor and mystery. The talented rising star Nat Wolff plays Quentin Jacobson (known as Q), who has been captivated by the charismatic Margo Roth Spiegelman (played by model-actress Cara Delevingne) since her family moved in next door, when he was nine years old. Now about to finish high school, Margo and Q hang out in very different groups. Quentin’s life has been mapped out; he has plans to become a doctor. When he’s not studying, he spends all his time with his friends, Ben (Austin Abrams) and Radar (Justice Smith). In contrast to Q, the elusive Margo is impetuous, instinctive and lives in the moment. She also loves mysteries and is a bit of a mystery herself! Margo suddenly appears at Q’s bedroom window one night and enlists his help for a series of daring pranks she has planned, intending to exact revenge on her cheating boyfriend. Hoping the adventure could lead to romance, Q agrees to join in the conspiracy. The next morning Margo has vanished, leaving behind cryptic clues for Q to decipher. Determined to find the girl of his dreams, Q embarks on a road trip with Ben, Radar and two other classmates: Lacey (Halston Sage) and Angela (Jaz Sinclair), driving from Florida to New York. It turns out to be a hilarious and fun journey, in which Q discovers the value of friendship and learns what love is all about. An endearing and unforgettable journey awaits when “Paper Towns” opens this July 22 in cinemas nationwide (Philippines) from 20th Century Fox to be distributed by Warner Bros.